Imagine if you saw or know of wrongdoing, what would you do? Do you tell someone? Do you intervene? Do you mind your own business like you wasn’t aware of what was going on? If you did nothing, how do you live with yourself or does it bother you at all. This is where your conscience comes into play and how you live with your decision after that. Jackson Jones is an interesting man. He is a preacher of the largest black church in Lazarus, Alabama and he grew up and lives in a house affectionately know as the Whiskey House. The house gathers its name from the time when the Buffalo Soldiers would come through and get a taste of the whiskey made there. The fact that he remains in a house named like that and being a preacher is part of what makes him interesting the other part is the company that he keeps. His company and his actions are questionable but he is a preacher and everyone is supposed to believe him, right? Mayor Samuel Justice is the mayor of Lazarus, Alabama and very good friends with Rev. Jones. The mayor has plans for his future and if him and Rev. Jones do as they have been doing in the past, their plans might get detoured. These two are on a mission and their mission is Whiskey House and keeping its secret. How is that going to be possible when so many know the history of The Whiskey House and the curse that is behind it? Is the secret something that if it gets out it can destroy people lives? Is it truly a secret or are others holding their cards and waiting to play them? Curse Of The Whiskey House is a book detailing what should you do if you find out something that is not favorable in the eyes of most. It is an intriguing story with the many twists that you find out about different characters that you may or may not have seen coming. It measures your moral compass to see which direction you are going in or in the very least SHOULD be going in. This is the first book in the Whiskey House trilogy and I am interested to see which way the author is going next. I look forward to reading more from this author. 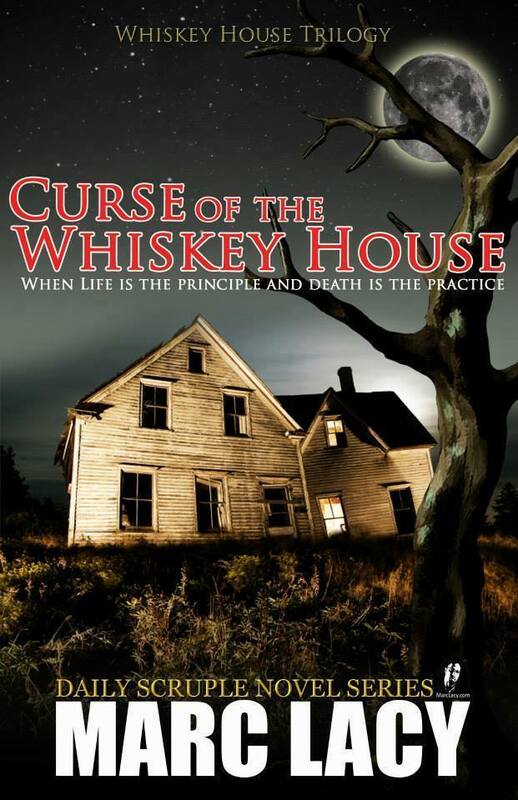 Curse Of The Whiskey House: When life is the principle and death is the practice if available for purchase through Amazon.com (Paperback an Kindle edition) and the author website: http://www.marclacy.com/.